Tate Kobang Jumps On Lil Baby & Drake's "Yes Indeed"
Home>New Songs>Tate Kobang Songs> Tate Kobang Jumps On Lil Baby & Drake's "Yes Indeed"
"Yes Indeed' may be the next big freestyle track. Lil Baby and Drake's new collaboration "Yes Indeed" is already a big streaming track, contributing to Baby's debut album hitting No. 3 on the Billboard 200. Looking at the ascendance of Drake's last few tracks, including the BlocBoy track "Look Alive," "Yes Indeed" could very well be headed to the top ten of the Hot 100. 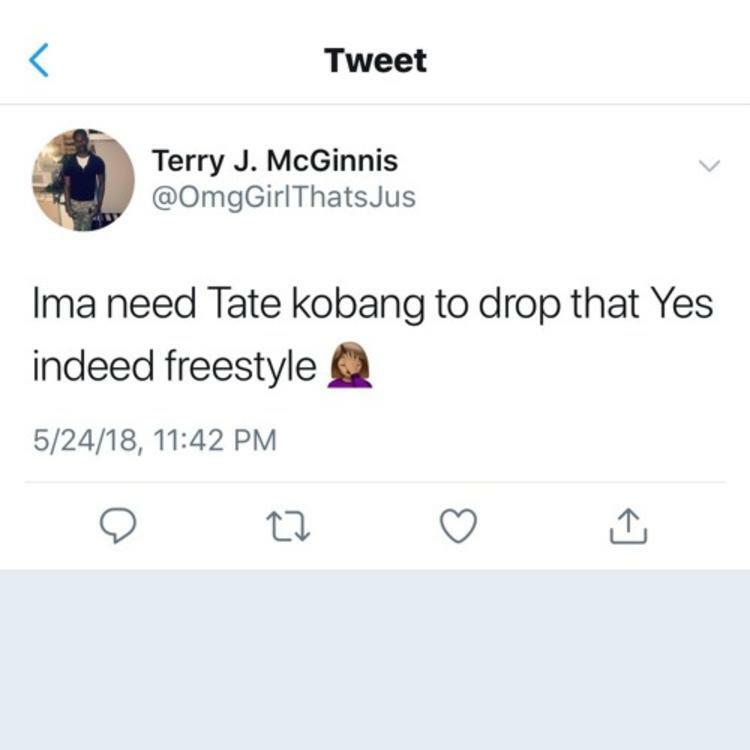 Much like "Look Alive," it's also bound to inspire plenty of freestyles, and we're happy to see Baltimore's Tate Kobang to be one of the first to bring their own flavor to the beat. As he's proved time and time again, Tate can really take off on the right beat. Here he comes through with some personality-filled bars that take the track in a new direction that makes it his own. Last month, Tate released his 28 mixtape on his birthday. Listen to the project here. Wash your drawers in the tub? Audio Push Take A Melodic Detour On "Craner Ave"
SONGS Tate Kobang Jumps On Lil Baby & Drake's "Yes Indeed"